1. 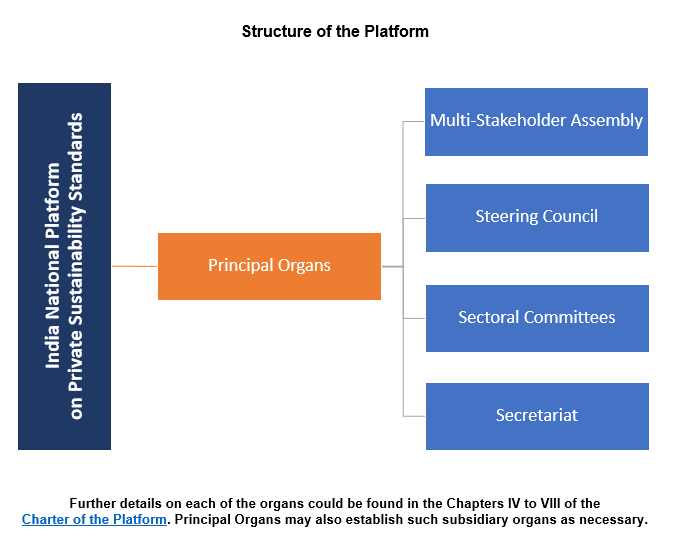 The Platform shall have as principal organs: a Multi-Stakeholder Assembly, a Steering Council, and a Secretariat. 2. The Secretariat shall, in consultation with the Multi-Stakeholder Assembly and the Steering Council, identify priority product groups for which Sectoral Committees shall be established. The Sectoral Committees will also be deemed to be principal organs of the Platform.